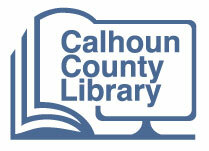 The Calhoun County Library is located in the heart of Saint Matthews, South Carolina. In 2010, the Library relocated from its one-room location on Harry C. Raysor Dr. to a large, modern facility on F. R. Huff Dr. The Library receives county, state, private and grant funding. It is governed by a seven-member board appointed by the Calhoun County Council. The library is located side-by-side with a workforce development center operated by Orangeburg-Calhoun Technical College. The Calhoun County Library is committed to optimizing library services, strengthening community involvement and exemplifying strategic stewardship throughout the various communities in our service area, including St. Matthews, Fort Motte, Sandy Run, Cameron, Lone Star and areas beyond. The Library meets this mission through the delivery of programs and services at the main library, the Bookmobile, the Sandy Run Express Point and through outreach efforts.